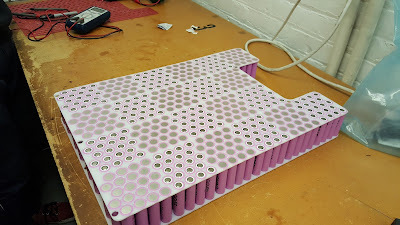 Building the battery pack, new sponsor (Li-ionWholesale.com)! 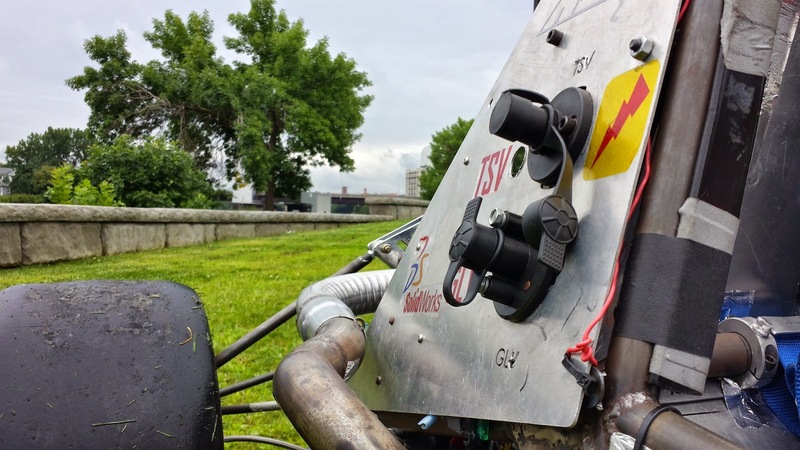 The Formula Hybrid team has been firing on all cylinders over the past few months, making lots of progress on the car's different subsystems. I thought I'd bring a little attention to just one of the cool projects in the works right now: the '15-'16 high voltage battery pack. The process of developing this year's high voltage battery pack (also termed "accumulator"), began with an evaluation of last year's methods and final product. The 2014-2015 season was the most recent time the team has attempted to build an accumulator completely from scratch. Due cockpit space constraints, we found it necessary to move away from the prepackaged A123 modules we'd used in the past and repackage the 26650 cells in a custom configuration. 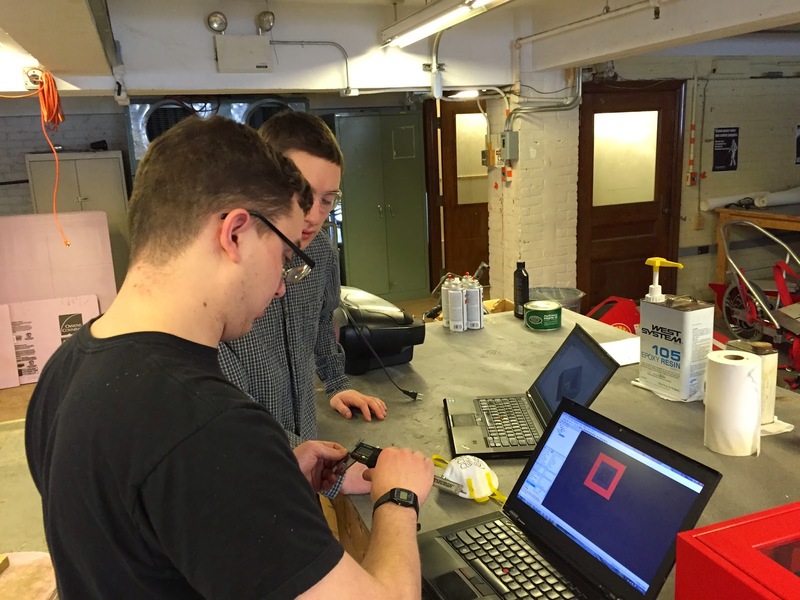 While the design proved effective, the development time associated with creating and validating scratch-built fusible links greatly set back the team's schedule. Additionally, the design time associated with creating all the new parts needed in the pack (bus bars, terminal plates, cell holders, insulation layers) took longer than expected. With the team now more experienced with the challenges associated with accumulator construction, a new goal emerged: to use these developments to create a pack with greater capacity than our old modules had allowed. We began by investigating other potential cell chemistry currently on the market, as well as different cell form factors. After an extensive analysis of cell types, we settled on the Samsung INR18650-30Q. The 30Q provides excellent capacity (~3000mAh) and a continuous discharge current of up to 15A. The switch from LiFePo4 to Li-ion brought other changes as well. The cell count increased to 440 mainly due to the 18650 case size, and the total accumulator configuration changed as well in an attempt to maintain similar output voltages with the new chemistry. The cells arrived promptly and well packaged. After a few charge and discharge tests, we confirmed that the cells were meeting their advertised specifications. 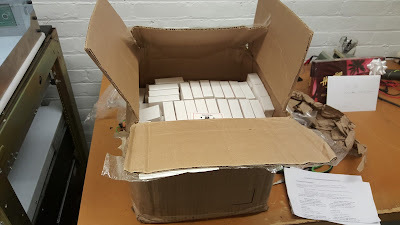 Confident in the cell quality, we contacted Liionwholesale for a quote for a whole pack worth of cells. They got back to us almost immediately, and upon hearing about our team, offered a generous discount on the bulk quantity. They worked with us throughout the entire purchasing process and generally did everything they could to help the purchase go smoothly. After returning from winter break, the team was greeted with a brand-new box of cells! Our configuration for the pack this year uses the cells in a vertical configuration, and attempts to maximize the cell density for our available space. The entire pack is made up of parallel groupings of 20 cells, each of which is then connected in series in a "snake" pattern to connect 22 of these groups in series. The isolation spacing between each group is also used to run temperature sensor and voltage sense lines. The cells are actively cooled with a CNC machined cooling plate mounted to the terminal plates through electrically isolating material. Cell groups are connected in parallel through nickel terminal plates located above and below. One of the special features of these terminal plates are the integrated fusible links waterjet cut into each one. Finally, the 22 strings are broken up into groups of 5,6,6, and 5 by segment maintenance switches to permit safer maintenance. The accumulator interfaces with the rest of the car though the tractive system electronics compartment, located in the rear of the accumulator container. Custom bus bars and HV contactors route the tractive current out of the pack and to the motor controller. 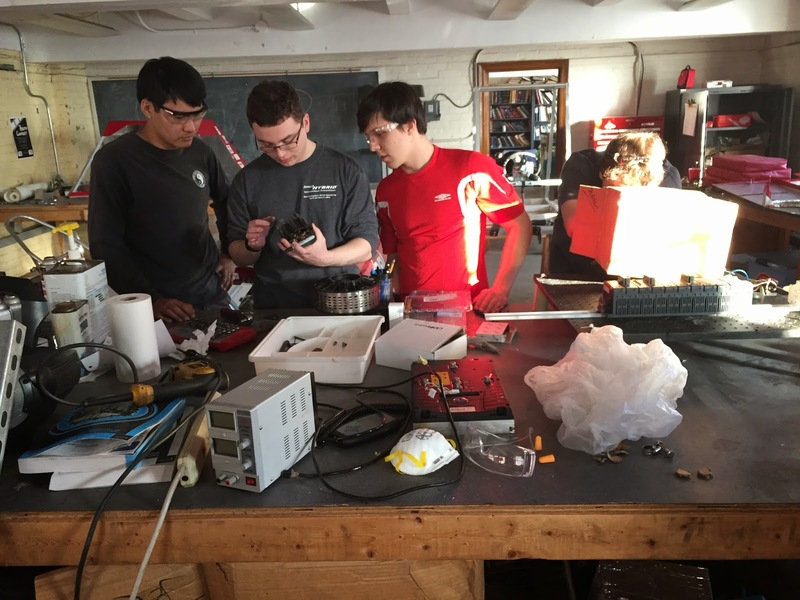 The battery system sub-team is currently gearing up for final pack assembly soon, so check back often for future updates on this and other ongoing projects at RPI formula hybrid. A special thanks to our new sponsor, www.Liionwholesale.com as well. They've helped make this awesome project possible! Ever wanted to work on a racecar? Need some more resume experience? 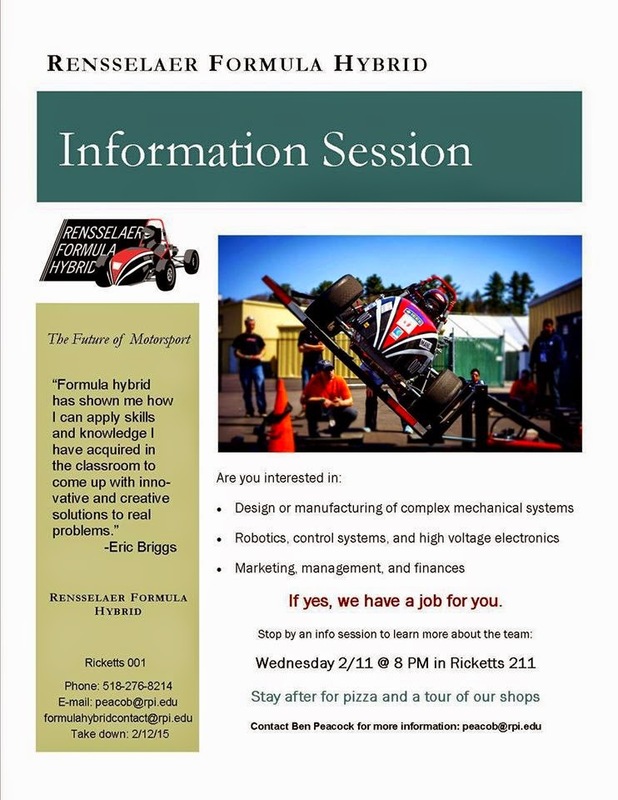 Formula Hybrid is always looking for new members interested in designing, building, and testing a formula style racecar. In addition, we've been working pretty hard since the last semester. here are some pictures what we've been up to! We've got a long way to go but slowly but steady wins the race! Hey everyone, a version of our very own website is now up. For now it is a very basic format but soon we'll be expanding it. 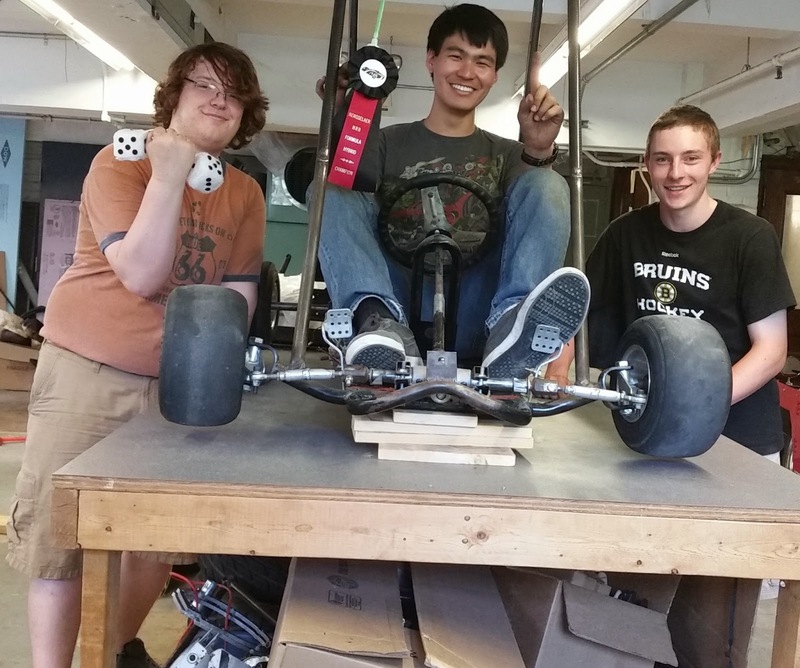 You can check it out at http://formulahybrid.rpi.edu/ . 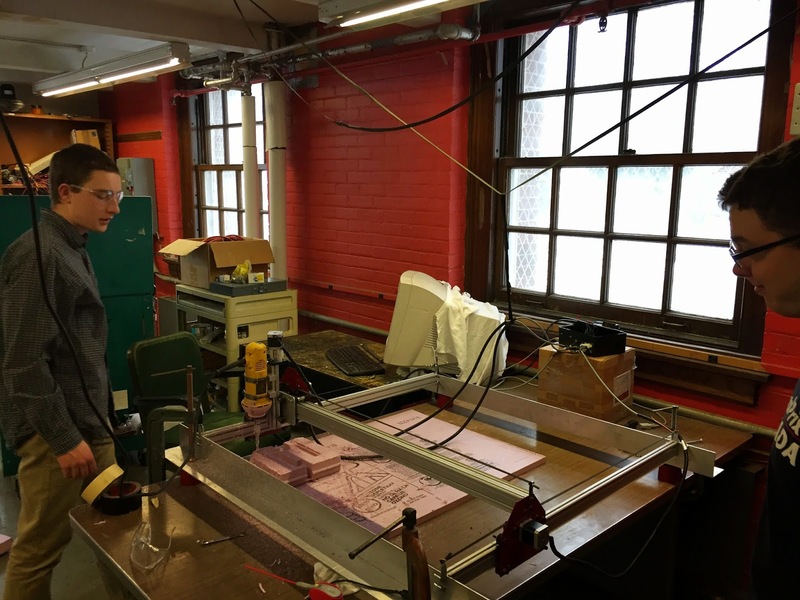 A hands approach to engineering is an experience that the Rensselaer Formula Hybrid team wanted to bring to the forefront of the Navigating Rensselaer and Beyond or NRB experience with the incoming freshman class of 2018. Collaborating with the Douglas Mercer ’77 Laboratory for Student Exploration and Innovation for the electrical part of the build, members of the hybrid team worked together with the freshman to assemble and build a hybrid go-cart in one day. 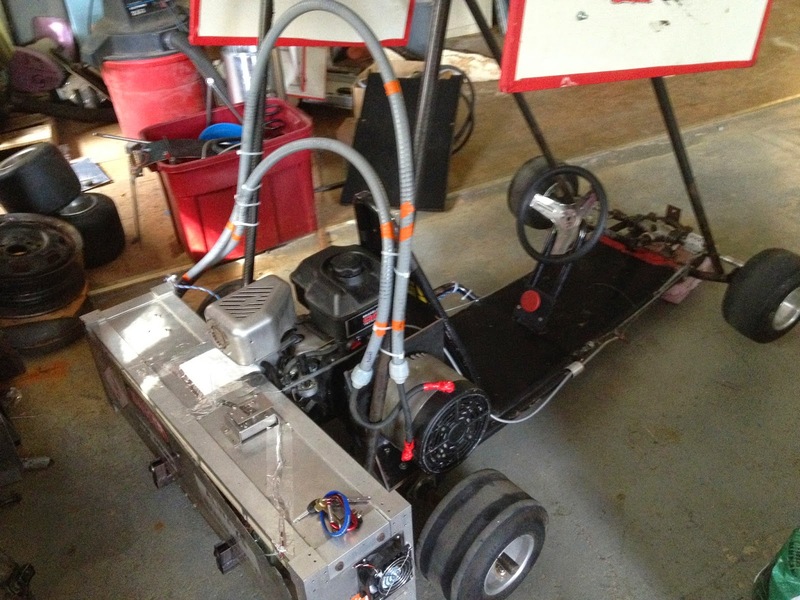 Complete with 205-cc Briggs and Stratton combustion engine, Etek-RT Motor, 24-volt system with regeneration, battery voltage monitoring circuit, and 2-axis accelerometer data logging; this project was quite an undertaking. 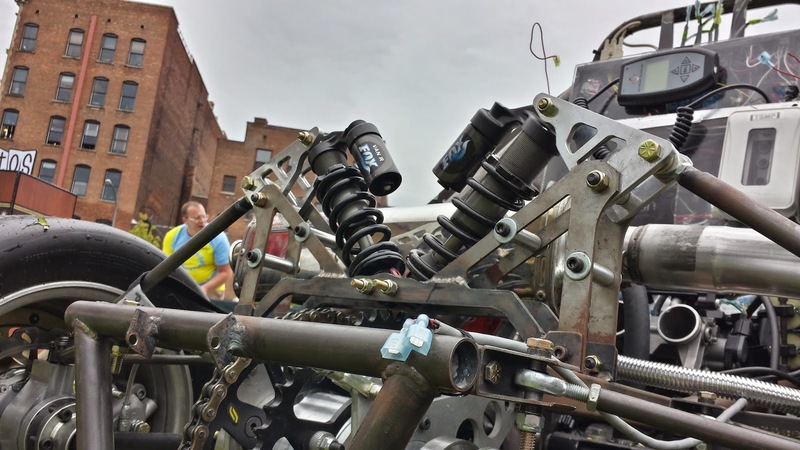 Members from the hybrid team used their precious summers to both fix and modify the cart in order to get it ready for the event. Some of that preparation is in our previous post here. In addition, collaboration with the Mercer Lab helped bring more electrical design into the kart, with battery monitoring and data logging. 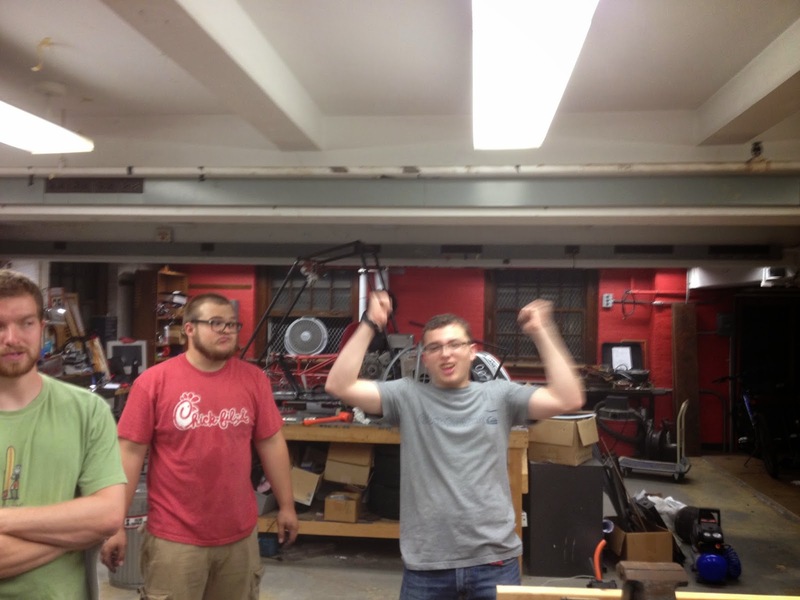 Team members put long hours into assembly and testing of the cart as well as taking all the way down to a bare frame so the freshmen could rebuild it. 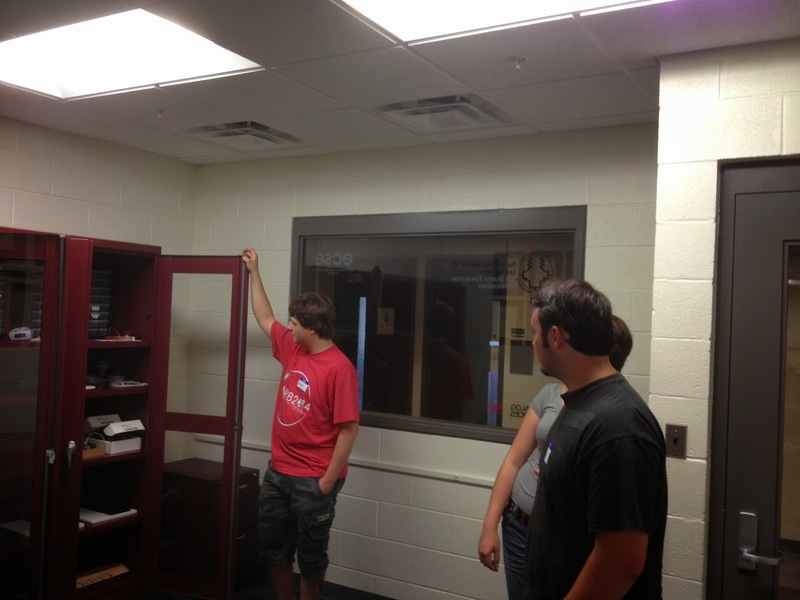 The day started out with normal operations and safety procedures, but after that was finished the incoming students walked into our shop to find a fully dismantled and go-cart. With extra pieces scattered around the workbenches the students had to figure out how the cart went back together bolt by bolt. 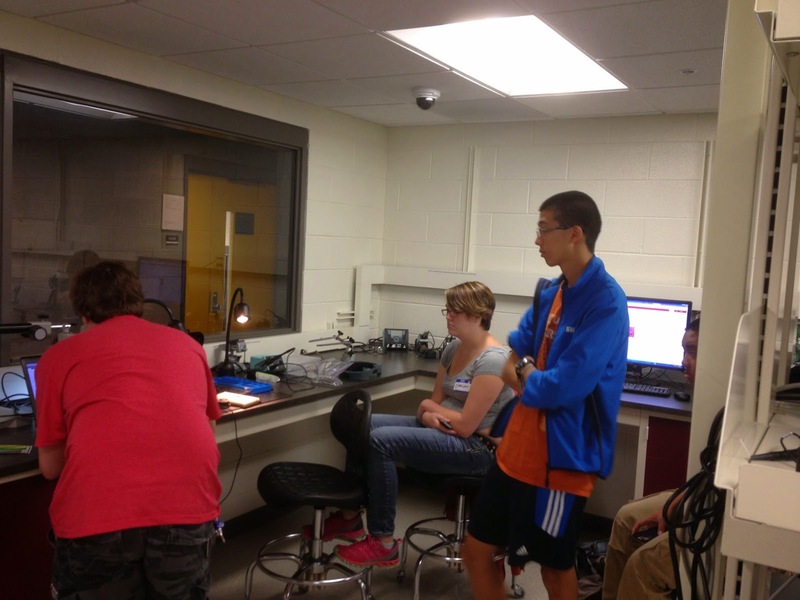 In addition, some students that expressed interest in the more electrical part of the build headed up to Mercer Lab. 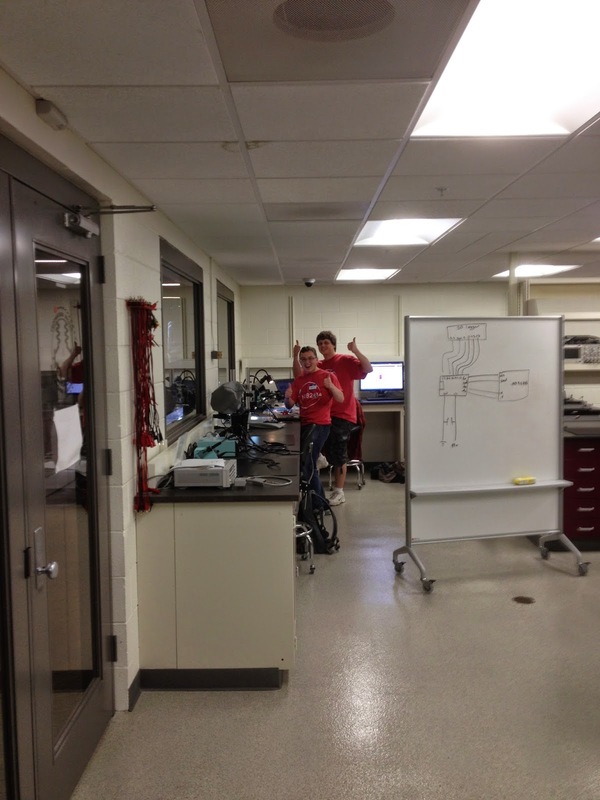 In the lab, the members of the team introduced the new students to microcontrollers, breadboards, basic circuit analysis and design, and working with the awesome top of the line tools that the Mercer Lab provides for all students to use. 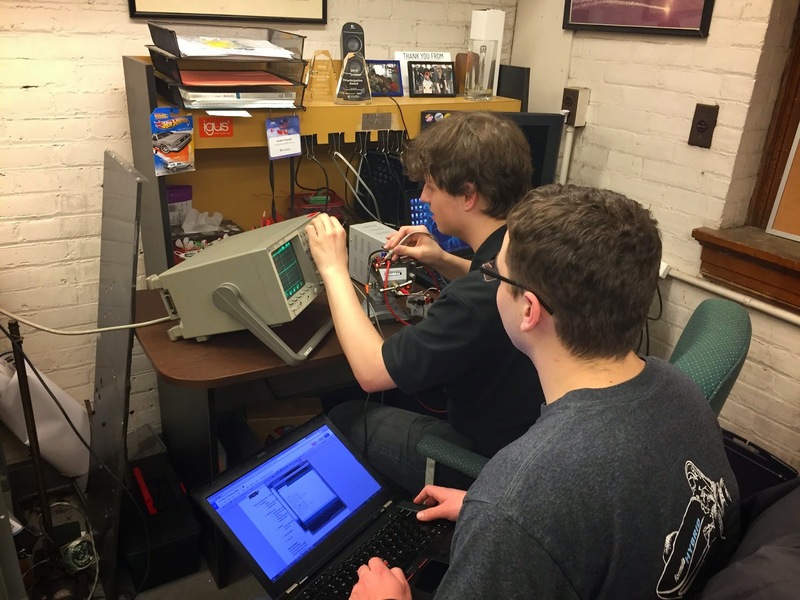 For the data logging, the hybrid members and new students worked with an Arduino Nano, Accelerometer, and a data logging shield to interface with a micro SD card to capture the forces at play. 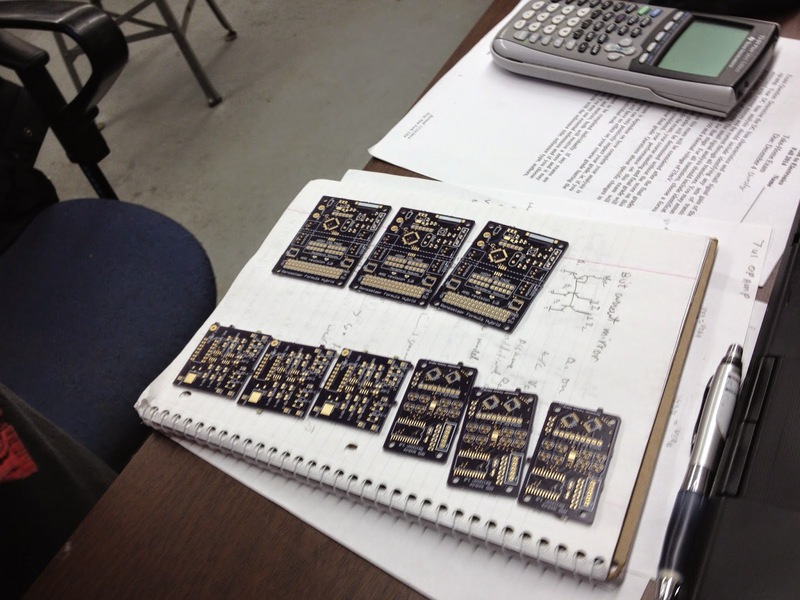 To design and implement the battery monitoring circuit, hybrid members explained a voltage divider and accompanying formulas so the new members could design and implement the divider. 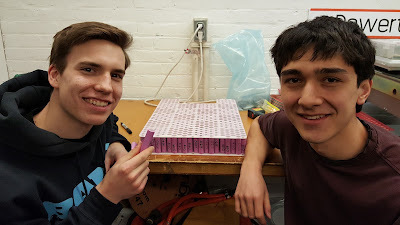 The new students accomplished a divider that pulled low amperage, outputted a voltage no higher than the Arduino could take, and had relatively high resolution without previous knowledge beforehand. Accompanying that was a buzzer to alert the driver during a run if an under or over voltage situation occurred. 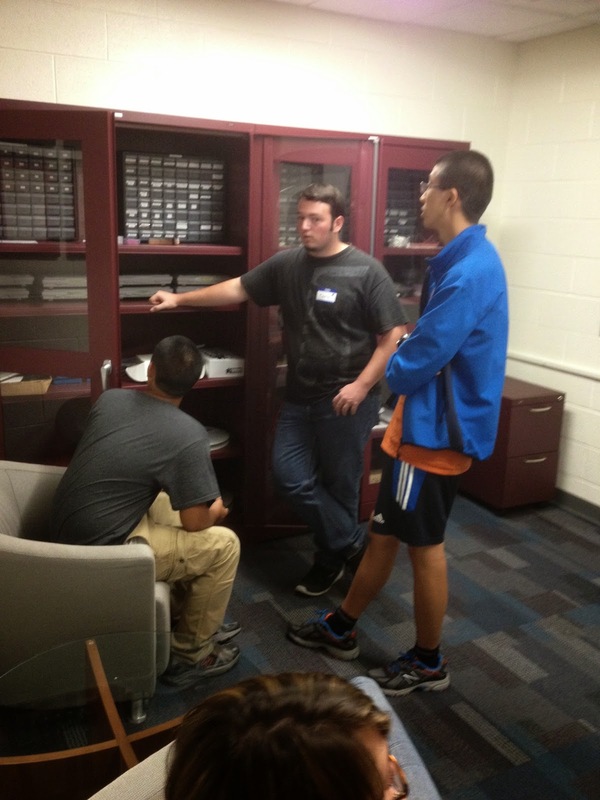 After taking a break from lunch, the hybrid members introduced to the Mercer lab to the new students. 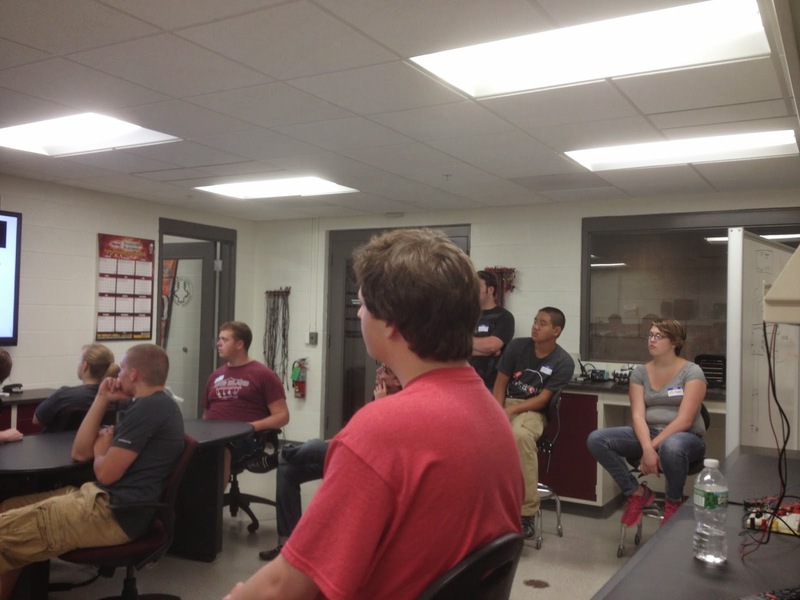 There all the students learned about how the department and Doug Mercer built the lab for student projects and was free to use. 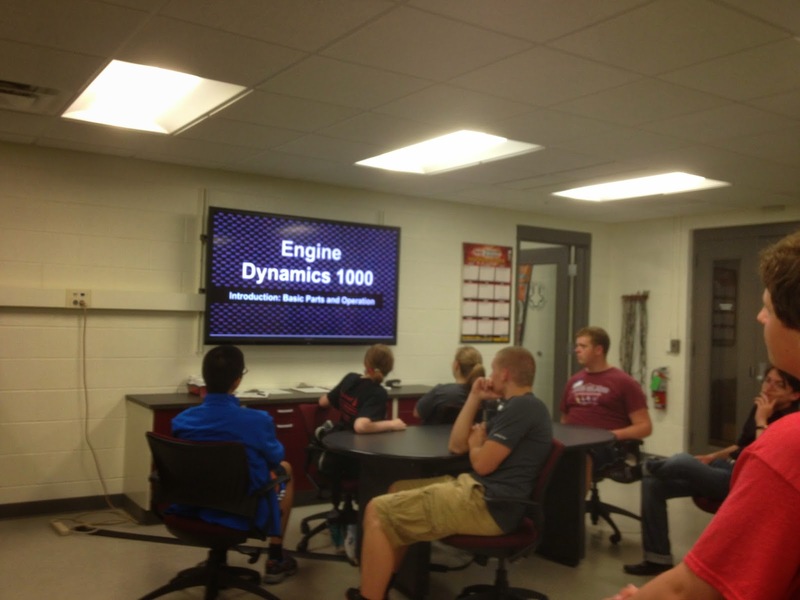 After the presentation of the battery monitoring and the data logging, one of the hybrid members; Eric Briggs, gave a quick overview of internal combustion engines so all of the member could had a better idea of how their cart, as well as our car works. At the end of the day, the team had not only put together most of the systems but also did it quickly and efficiently, coming together and problem solving when something did not quite fit. Later the hybrid members ran the go-cart in order to check for any safety concerns that the build team did not accounted for. 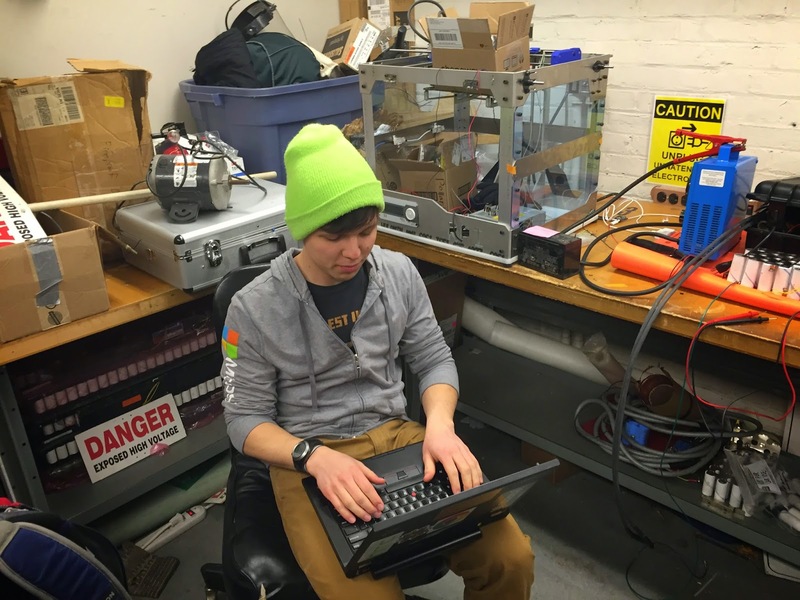 Although the cart was supposed to run the next day, the team decided that the rain was not suitable to run in. Re-scheduling to a later date, the cart performed exceptionally. With a bright sunny Saturday, the team joined again to run timed trials with the cart. Running a pretty standard course the freshmen ripped apart the course (in the best way possible). 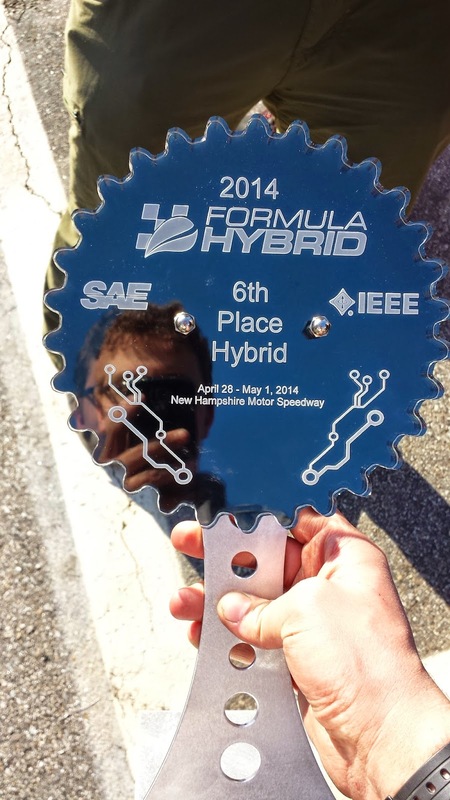 All in all it was a great experience for the incoming students as well as for the formula hybrid team. It's that time of year again! 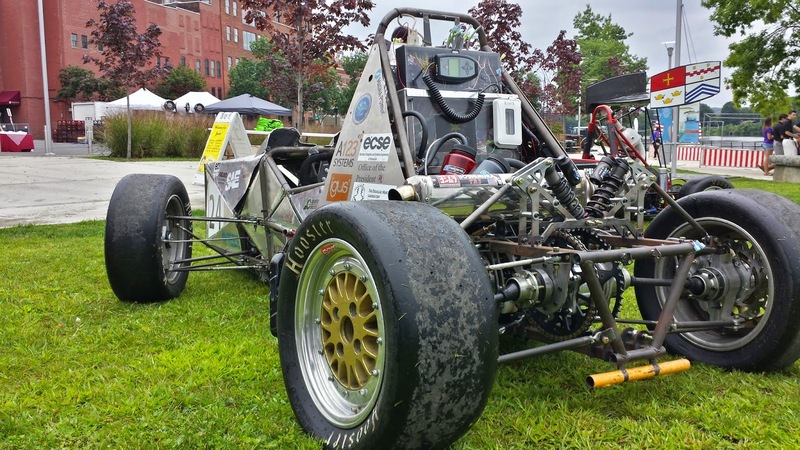 On August 22, Formula Hybrid made its annual appearance at Rensselaer's Welcome Fest event for first-year students. The DCMS made the trip down the hill unscathed. The team would like to give a special thanks to all the volunteers who helped carry it in and out of the shop. 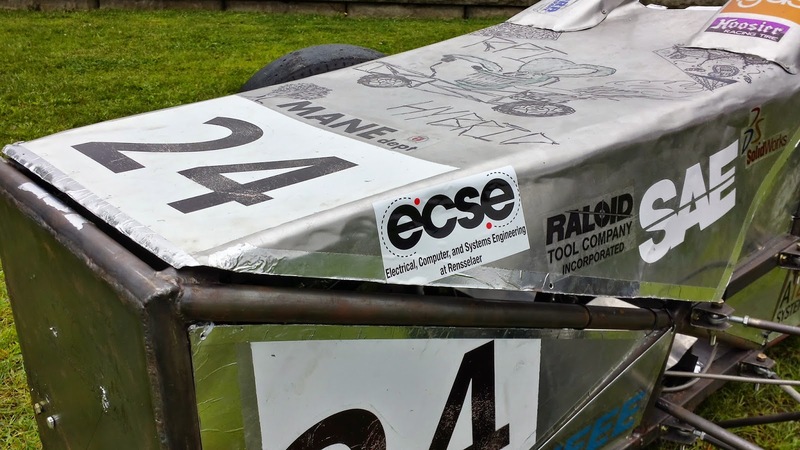 After rolling the car into position and putting our high voltage battery pack on display, we pulled out our cool new flyers and prepared for the students. Before the event started, the team was honored with a special visit from the Honorable Dr. Shirley Ann Jackson, who greeted everyone on the team and took a picture with the car! We will update with the picture if we are able to receive a copy. The incoming freshmen better be ready, because their kart is amped to go, fuzzy dice and all. 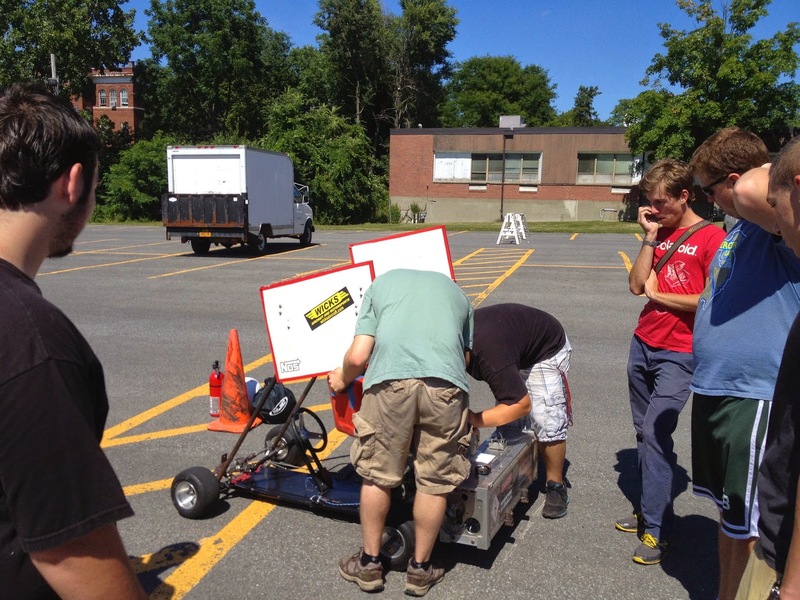 Pictured below, the crack Formula Hybrid summer team got the fast mover up and running in preparation of NRB, where incoming students will have to orient not only themselves, but an entire race kart, from the frame up. Starting from the morning, the kart was carefully looked over and evaluated by our own Jordan Yamada and Chris Lamplough. After asserting that it would not spontaneously combust (when handled by freshmen), Jordan and Chris found the worn wheels warranted work. The best solution, they found, was a simple mint chocolate chip shake, fresh from the auto section of our local hardware store. Where she purred. The crash course crash kart careened up and into north lot, piloted by Chris, to help the wheels fully digest the slime they had just ingested. And before the eyes of the team, God, and a Public Safety Officer, the kart not only failed to explode, but turned and burned (rubber) as demonstrated by Jordan in his trial run. 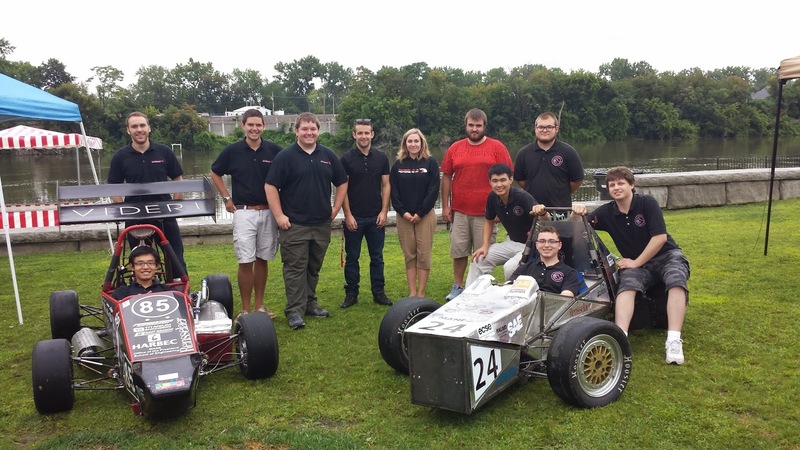 On May 10th, the Rensselaer Formula Hybrid team officially unveiled our newest car to the RPI community: The DCMS! Both the electrical and mechanical teams worked hard in the days and morning preceding the event to ensure the DCMS was safe and prepped for an awesome demonstration. 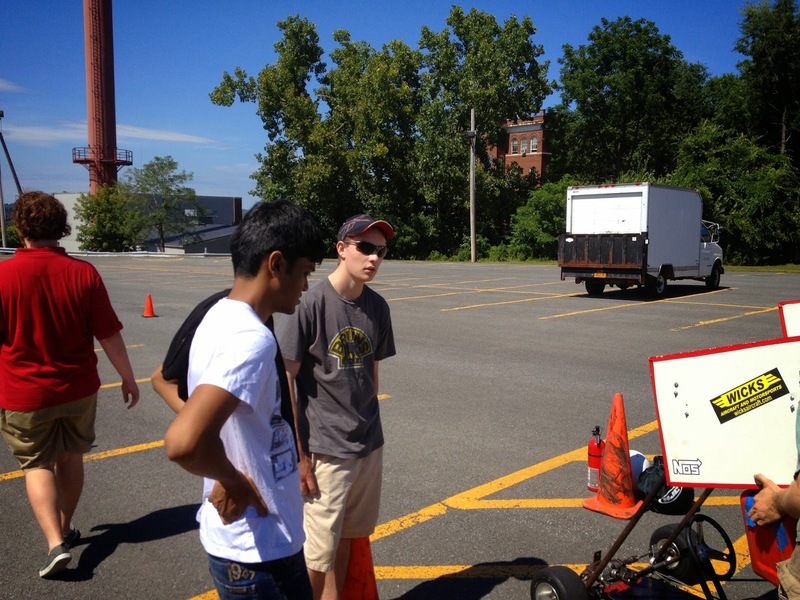 After rolling the DCMS out to North Lot for its presentation, the team was rewarded with two amazing test runs. Proving its capabilities as a well balanced hybrid vehicle, the DCMS completed the rigorous testing only using its high voltage system. As a send-off for two of our longtime members, Ricky Willems and Sam Putney were chosen to drive the runs. Our test drives also produced valuable acceleration data for the team. This data is being used to validate and investigate the dynamics of our vehicle. 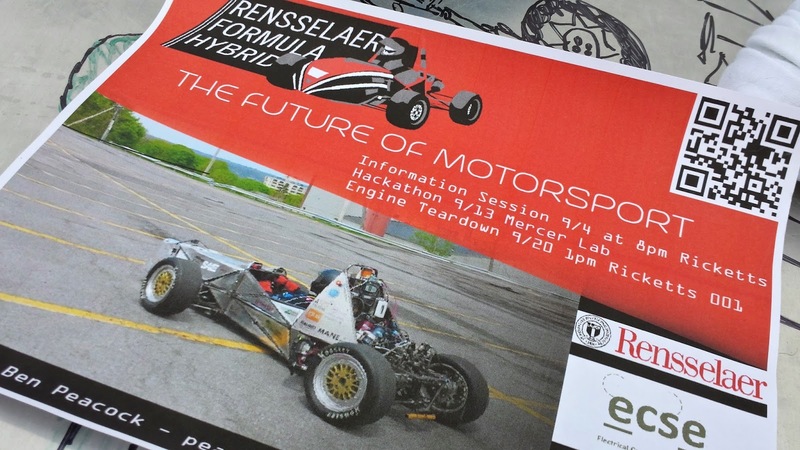 The lessons documented here will allow us to optimize and innovate for future Rensselaer Formula Hybrid car designs. The success of the DCMS is due in large part to the support of our sponsors. 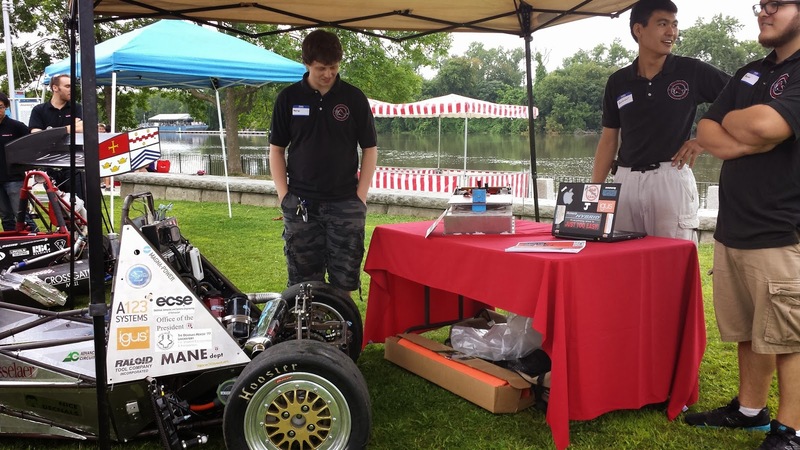 Their donations of time, funding, resources, and products were indispensable not only to creating the car, but also to producing the outstanding experiences and opportunities that our team members benefit from. Rollout was our chance to publicly give back these contributors. On behalf of the entire team, we extend our deepest gratitude to those who have helped us come so far this year. We hope to achieve even more in those to come!